we stopped in today, at our local indian store (yes, that's really what it's called) and kinda, sorta fell in love with it. filled with leather, old prints, animal skulls, dream catchers, feathers, turquoise, blankets, and on and on and on, it's a dreamy place to be. not to be ousted from the tribe, we purchased some goodies. river scored on some new moccasins, as seen above. and i snagged a fancy Pendleton wristlet, perfect as the bag within the diaper bag. we also went to costco and bought a cart's full of fruit, coffee and wine. our version of the new year detox. those moccasins are sooooooooooo cute! i am in love with them! his little booties are adroable! He's growing so fast! Omg love those moccasins! Baby Riv knows how to wear them! LOVE the moccasins! So cute. Could Ella pull those off? Where is store? I might need to go there soon!! ella can definitely pull them off! it's on hacienda, right near babies in bloom. The baby moccasins are amazing! Have I mentioned that we're having a little River as well in just a few days? Do they make those in adult size? He looks adorable with the moccasins on :) great choice. sounds like my kind of detox! Ummm he honestly couldn't get any cuter. LOVE his moccasins. love river's moccasins! and love that is called the indian store. He is beautiful, I mean those eyes are just stunning! 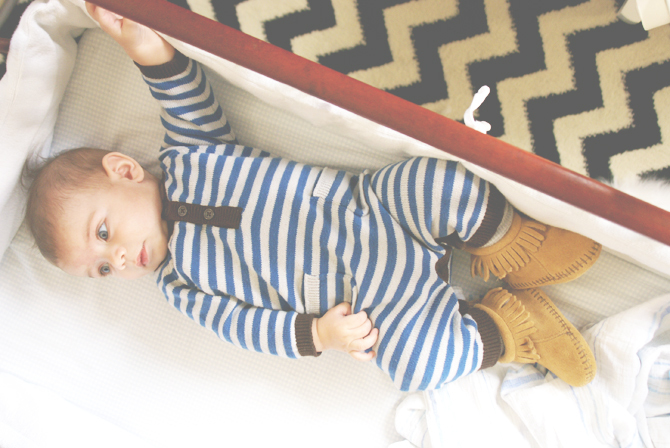 Love his little moccasins! sounds like my kind of new year's detox! love your blog!